The key is in the skull. 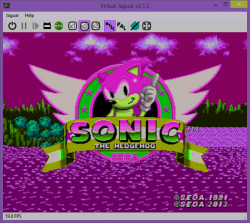 I wasn't aware that these Atari ST games were being ported to the Jaguar CD. This seems like a labor of love! I just burned Klax and Llamatron to CD and they both work fine. I used to play Llamatron on the Amiga back in the 90s. I still play it under Amiga emulation from time to time using my duel-stick X-Arcade joystick-- that game is great. I'm very impressed by these Jaguar ports. Hell, I'm not just impressed-- this seems like a crazy technical achievement. The Jaguar is such a cool machine-- and I'm glad that I have a working CD unit. I mostly only use it for titles by Reboot, but I guess I'll try some of these other CD titles too. Awesome work! Sound priorities are a bit whacked, but it's getting there! I'm counting 9 completed games after the release of the first set with others in progress.. Wow, only 7 more to complete before you match the first set! 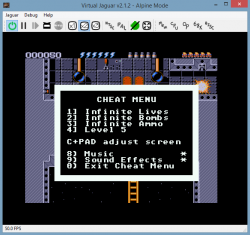 hehe = ) That's a heck of a lot of additions to make playable on the Jaguar, thank you CJ! I think there are twenty complete that haven't been put on carts yet. I hope llamatron and mutant camels make it to cart. (Along with all the rest lol). Commando, bionic commando, super storing, badlands, midnight resistance all sound fun. Hell, all of them sound good. I never had an st so it's great to get them on jag. 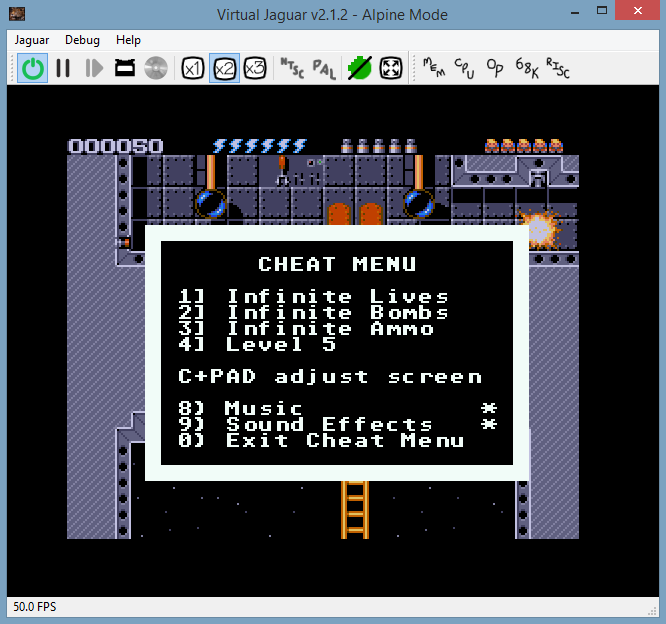 Fixed up the priority issues, and swapped the music for the Amiga soundtrack! I can still hear the echoes of dying over and over again in my head for Rick Dangerous. Along with the music from Pitfall 2 on the 8bit..
Amazing work! Out of curiousity, are some of these enhanced versions playable on the ST itself? They could be (with STe/F30), but I'm not going back to that. One of the advantages of the way these are ported is that there is a sort of hypervisor (Not really, but for want of a better word it'll do - places where control has to be taken away from the running game so Jaguar 'housekeeping' can be performed to emulate functions and stop the Jaguar side of things crashing) - I can use this to hijack the system and have some user interaction. Of course, it must use the ST font! A virtual keyboard? That's going make an opportunity for other ST games right? Imagine to play classic Infocom adventures on the jag haha (i am a fan and like the idea but playing them with a pad....). Hm, then again di anybody ever think of those classic Lucasarts games? Monkey Island 1, Loom, Indy 4? Got the priorities right, finally, and Zero sorted out the music and the samples... so, with that. Alright! Infocom Zork adventures here we come!! I'm thinking something like The Pawn. Though not sure how hard it'd be to replace some graphics in games like that to make them better. Reminds me of a thread in the 8-bit forums where it was brought up about the old strip poker game that you could just rename the images and start the game off with your opponent being naked. I'm betting the ST version is the same way, and so it'd be really easy in that case to rename some custom images that were 24bit, no? Granted, I guess if the 'engine' for displaying such images would have to be tweaked tot support such an image. Edited by leech, Wed Mar 22, 2017 10:37 AM. Isn't that a torture of equal proportions to playing any rts on a console? The only way to enjoy dune II is on a pc. I am currently replaying some C&C games, remembering what I loved about the genre! For what it's worth, Dune 2 is playable on the Falcon. Zero cleaned up the audio on this one, so I ported it to the ZeroPlayer and am calling it done! Truly unbelievable. Say, does anybody remember Midwinter oder Hunter? Can´t these be considered to be the first true open-world games? I've spent the last few days looking at another 68000 based system. Not quite got the colour mapping right, but looking like it might be possible. (Sees last message) oh cool! We could port the other Bubsy games to the Jaguar! Edited by doctorclu, Sat Apr 1, 2017 6:38 AM. 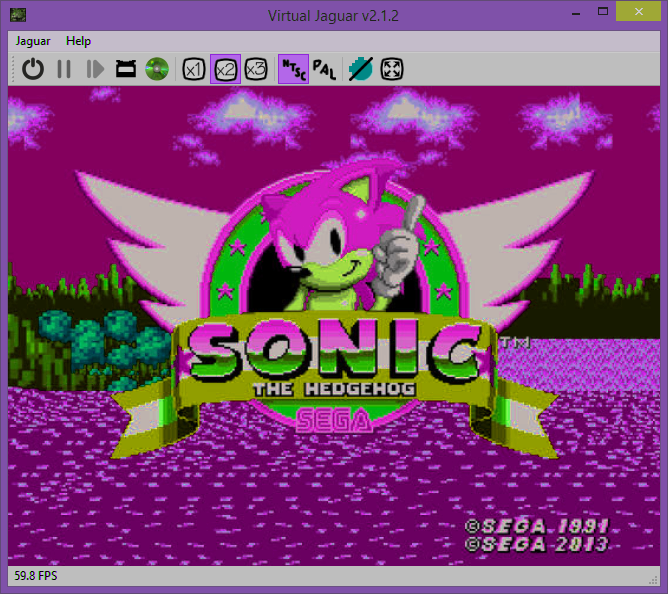 Sonic on the Jag is this an April fool! So technically how much of a challenge would this actually be for you cj? Edited by Swansea_Mariner, Sat Apr 1, 2017 10:17 AM. Meh. With rB+, you could have made something that has the right colors and works just as well as the original. At least for 30 seconds or so.